Southern junior Coltin Parker (22) applies pressure to Wahama’s Jacob Lloyd, left, during the second half of Friday night’s boys basketball contest at Gary Clark Court in Mason, W.Va.
Wahama senior Jacob Warth, left, releases a shot attempt over Southern defender Arrow Drummer during the first half of Friday night’s boys basketball contest at Gary Clark Court in Mason, W.Va.
MASON, W.Va. — Thorough, from start to finish. Visiting Southern led all but 52 seconds of regulation and held a double-digit advantage over the final 24:30 on Friday night while posting a 75-33 victory over the Wahama boys basketball team in a Tri-Valley Conference Hocking Division contest at Gary Clark Court in Mason County. The Tornadoes (7-7, 6-5 TVC Hocking) were on the scoreboard a mere two seconds into the opening canto, but the White Falcons (2-13, 2-8) countered with back-to-back baskets by Jacob Warth — allowing the hosts to secure their only lead of the night at 4-2 with 6:58 showing. Eleven seconds later, Jensen Anderson nailed a trifecta that not only gave the Purple and Gold a permanent lead … but also sparked a 13-0 surge over the next three minutes that resulted in a 15-4 cushion. The Red and White twice closed to within six points, the last of which came at 19-13 with 1:03 remaining in the canto. Southern, however, reeled off five consecutive points over the final 56 seconds, giving the guests a 24-13 edge through eight minutes of play. The Tornadoes — who made 10-of-20 shot attempts in the first canto — went without a turnover in the second quarter and also made 10-of-16 field goal tries as part of a 23-6 charge before the break. Wahama — which committed seven turnovers in the second stanza — closed to within 35-19 following a Warth bucket at the 3:15 mark, but the guests closed the first half with 12 consecutive points over the final 2:37 for a 47-19 lead. Southern committed only one turnover and shot 56 percent overall in the first half, as well as claiming a slim 18-14 edge on the boards. The White Falcons, conversely, had 10 giveaways and made only 30 percent of their shot attempts. The hosts were never closer as Southern reeled off four straight points at the start of the third and led by at least 30 points the rest of the way. 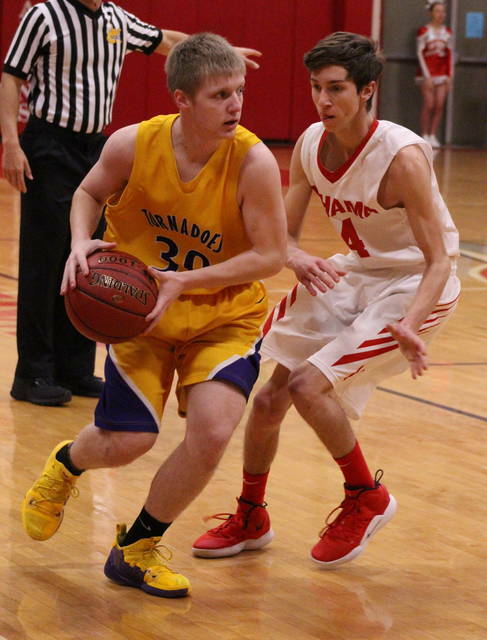 Cole Steele capped a 15-6 third quarter run with trifecta at the 1:37 mark, allowing the Tornadoes to take a 62-25 lead into the finale. The Purple and Gold led by as many as 43 points on three different occasions down the stretch, the last of which came at 75-32 following a pair of Chase Bailey free throws with 1:25 remaining. Warth tacked on a free throw for Wahama with 25 seconds left to complete the 42-point outcome. 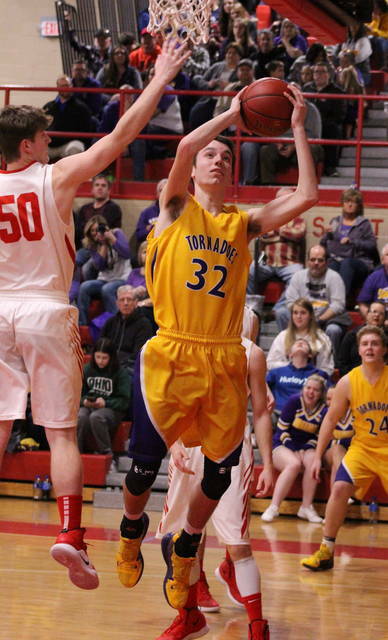 On a night in which the Tornadoes shot 49 percent from the field, had nine players reach the scoring column and limited Wahama to just 26 percent shooting, SHS coach Jeff Caldwell was pleased with the overall effort from his kids. In getting back to the .500 mark, the 11th-year mentor is hoping to see a few more nights like this one in the somewhat near future. On the other end of the spectrum, WHS coach Ron Bradley noted that when you don’t make shots and don’t stop teams from scoring … it does make a tough-luck evening that much longer. Particularly, as the sixth-year skipper mentioned, when you don’t put your best foot forward. 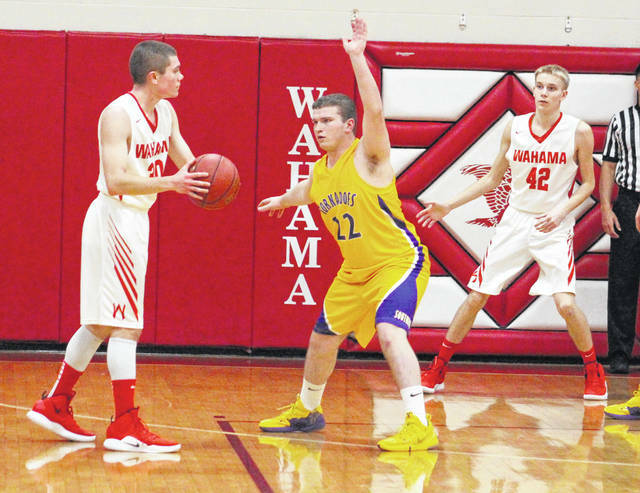 The Tornadoes outrebounded the hosts by a 37-31 overall margin, but Wahama did manage to pick up a 9-8 edge on the offensive glass. The White Falcons also committed 19 of the 28 turnovers in the contest. Southern netted 31-of-63 field goal attempts overall, including an 8-of-22 performance from 3-point territory for 36 percent. SHS was also 5-of-6 at the free throw line for 83 percent. Jensen Anderson led the guests with a game-high 22 points, followed by Steele and Brayden Cunningham with a dozen points apiece. Arrow Drummer was next with eight markers, while Austin Baker and Weston Thorla each contributed six points. Trey McNickle was next with four points, with Coltin Parker and Bailey completing things with three and two points respectively. Steele and Baker led SHS with seven rebounds apiece, while Thorla added six boards. The White Falcons made 13-of-50 shot attempts overall and went 3-of-17 from behind the arc for 18 percent. The hosts were also 4-of-11 from the charity stripe for 36 percent. 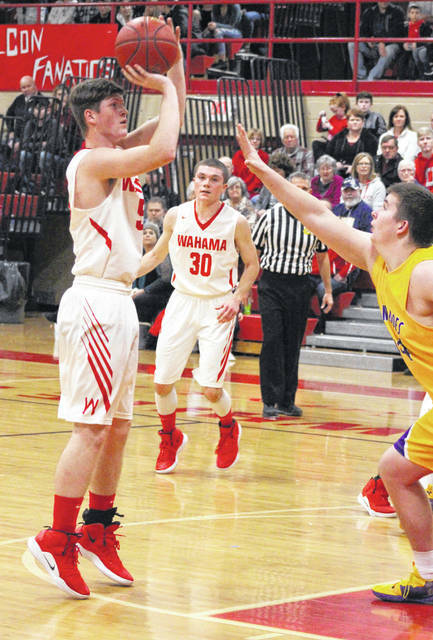 Warth paced Wahama 16 points and eight rebounds, followed by Brayden Davenport with five points. Abram Pauley and Brady Bumgarner were next with four markers each, while Jacob Lloyd and Jonathan Frye respectively closed things out with three points and one point. Frye also grabbed six boards and Pauley hauled in four caroms in the setback. Southern claimed a season sweep after posting a 59-48 decision in Racine back on Dec. 21, 2018. Both programs return to TVC Hocking action on Tuesday as Southern hosts Federal Hocking and Wahama travels to Waterford. Both games will tipoff at approximately 7 p.m.